Levittown Pennsylvania, a planned community is one that Ryann Reed Design Build often provides their services in. With a population of around 53,000 residents and many of the homes dating at the same time, it’s important for residents to find a contractor that they can trust. Ryann Reed brings a little more to the table than the average kitchen remodeling company. We have a design team that from start to finish wants to make sure anything that you could imagine can come to life. 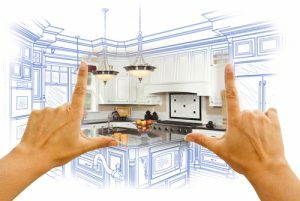 From simply the countertops and cabinets to opening a room and reconstruction of your kitchen. Similar to our skilled Kitchen Remodeling team, at Ryann Reed, we create absolutely beautiful bathrooms that you can be proud of. If you aren’t happy with your current bathroom or if it’s outdated, then you’ve come to the right spot. Our whole team at Ryann Reed specializes at interior design and construction work from a simple bathroom to a room addition to a whole house build. From top to bottom our designers and construction team has focused heavily on integrating our skill with what you are looking for.